With a background in classic French cooking but a focus on contemporary cuisine, it is unsurprising that Simon Gueller's food is always full-flavoured and immaculately presented. The recipes in this collection are somewhat deceptive - the careful plating results in stunning, impressive dishes which are not as difficult to prepare as they seem. 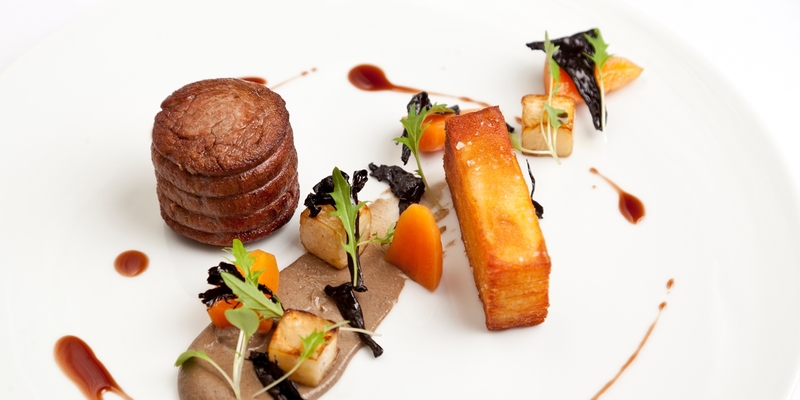 His Beef fillet with pomme Anna and mushroom purée or the Farmhouse chicken galantine recipe are impressive main courses worthy of a dinner party that, while requiring the use of a sous vide machine, don't demand hours of preparation.